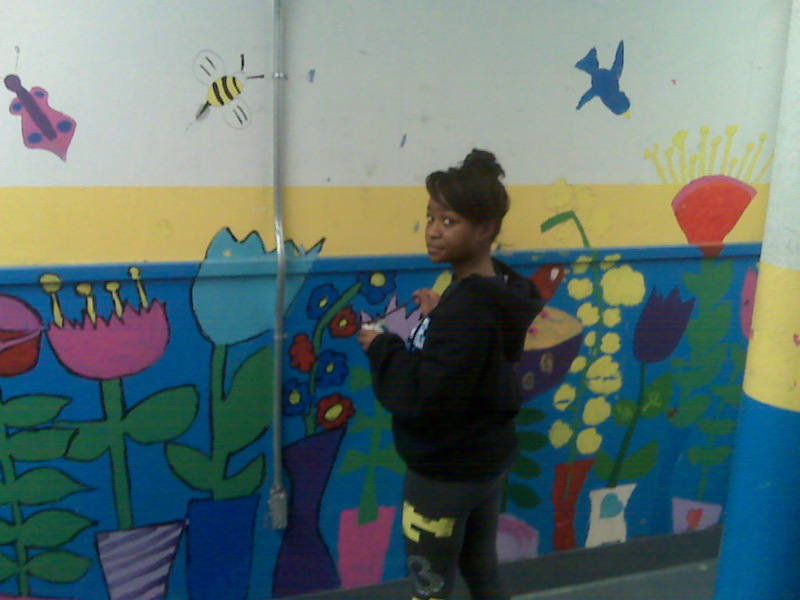 At first we could take or leaf this flower mural, but it definitely grew on us! Volunteer with Jersey Cares today. Learn more! How do you communicate with a fish? By dropping it a line! 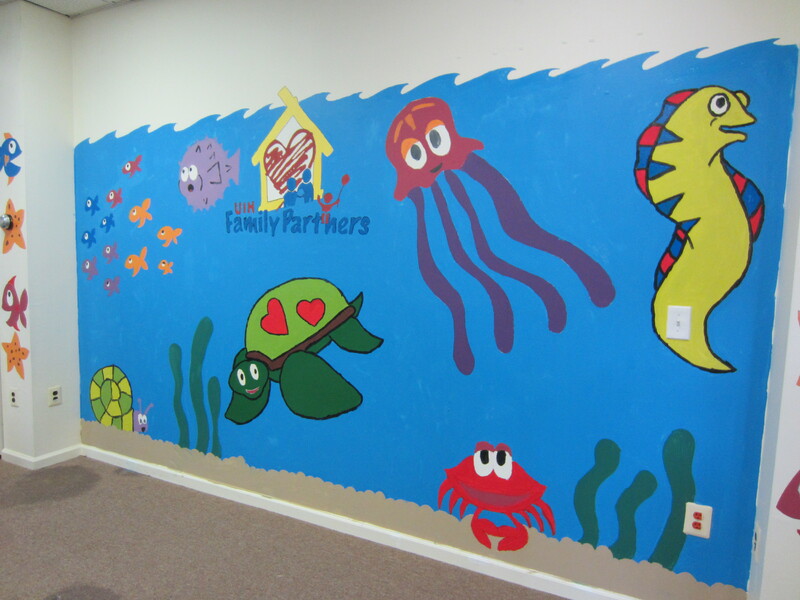 BASF Volunteers had a whale of a time painting this under the sea mural! After a long, hard day of transforming this veteran’s home, these Team Depot Volunteers will sleep like a dog! 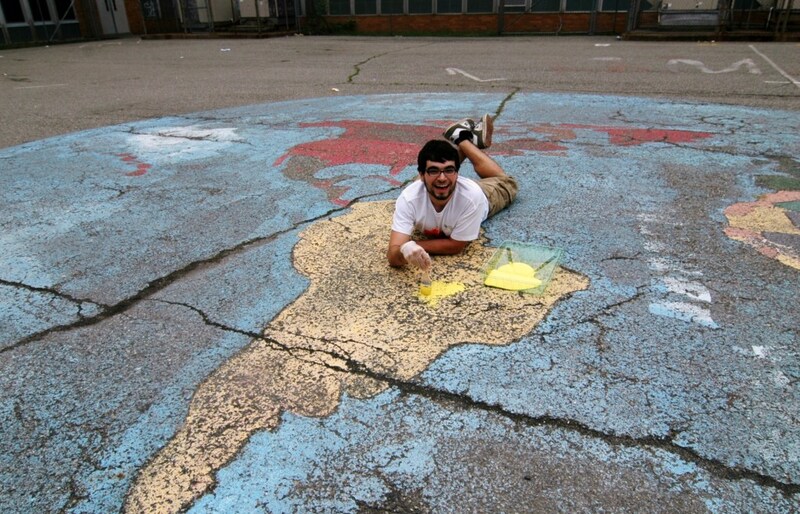 This volunteer takes laying on the beaches of South America to a new level! 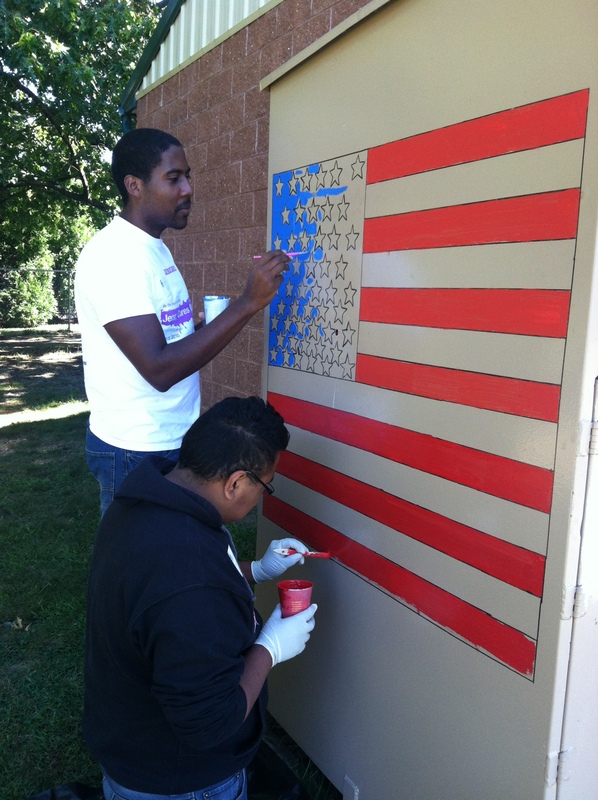 These September 11th Day of Service and Remembrance Volunteers earned their stripes by doing a great job painting a flag for an American Legion in Middlesex county. Volunteer with Jersey Cares today. Click here to learn more ways to get involved in your community. We were over the moon when we saw this mural! Do you like to volunteer and draw? 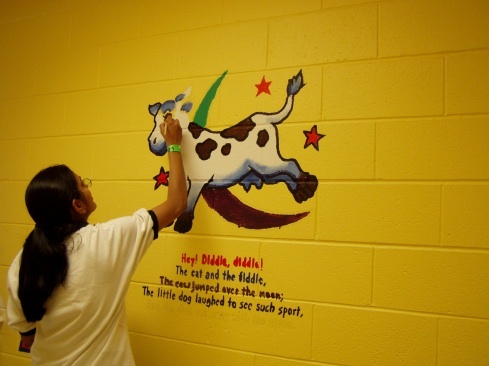 Become a part of the Jersey Cares Mural Artist Program. What do you call a piece of wood with nothing to do? Board! 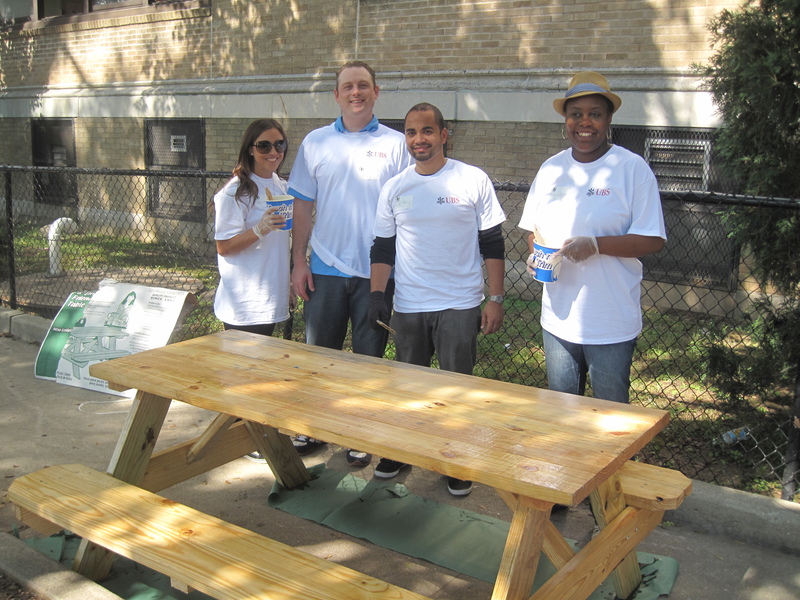 These UBS Volunteers certainly kept busy building picnic tables for a school in Jersey City.